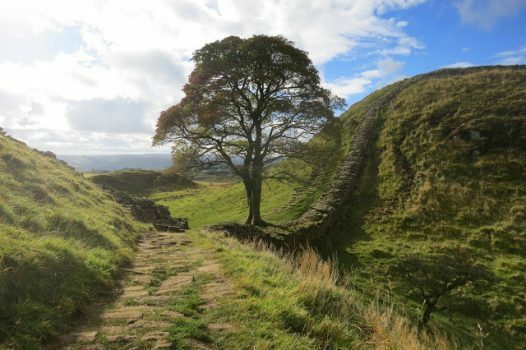 Walk through some of the most beautiful parts of England and immerse yourself in Roman History on this 17.5 mile walk where you will experience views of Craig Lough, Housesteads Roman Fort, Brocilitia Roman Temple and take in beautiful surroundings. The route takes you from Walltown Quarry to the George at Chollerford, and should take around eight/eight and a half hours. This walk is not self-guided, there will be a leader with you at all times. It is a long walk with lots of ups and downs, so you need to be relatively fit. We recommend you do go out for a few walks as training, but you don’t need to be super fit – which is one of the attractions of this challenge.